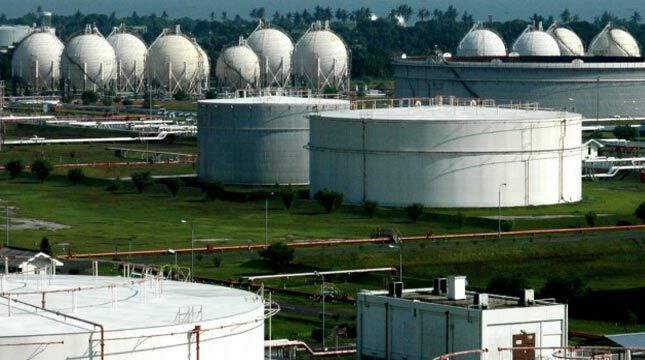 INDUSTRY.co.id - Jakarta - The State Asset Management Institute (LMAN) and PT Badak NGL have signed an agreement to operate, utilize and optimize the assets of the Badak LNG Plant. Vice Minister of Finance Mardiasmo said here on Thursday (28/12/2017) that the signing of the agreement is an effort from the government and directives from the Deputy Minister of EMR on November 6, 2017 so that all parties seek the best solution in maintaining the operation of the Badak LNG Plant post-2017. "The state-owned goods, such as these goods, should be optimized, we say, this MoU becomes a momentum and its governance can be safeguarded, which is important for the government, its main social benefit for society and justice for all of us through increased state revenues whether it is PNBP and also taxes from oil and gas itself," said Mardiasmo who was present witnessed the signing of the agreement. The signing of the agreement is a series of the process of managing Badak LNG Plant that has been designated as State Property in accordance with Minister of Finance Decree Number 92 / KMK.06 / 2008 concerning Stipulation of Ex-Pertamina Status as State Property and has been handed over to LMAN through Decree of Director General of State Assets DJKN) No. Kep-114 / KN / 2016. The Finance Minister has appointed PT Badak NGL as the refinery operator for gas processing into LNG at Badak LNG Plant after 2017. Operation Scheme Badak LNG Plant after 2017 is a new pattern where DJKN through LMAN is the asset owner, PT Badak NGL as refinery operator, and SKK Migas and KKKS are gas producers where each party has its own agreements. Operating facility Badak LNG Plant is the oldest in the world and has been operating for more than 40 years. The refinery facility has a value of Rp16 trillion consisting of eight train or LNG processing plants, six LNG storage tanks, five LPG storage tanks, and three 'loading dock' and other utilities. The assets are expected to continue to be utilized and used by all gas producers in East Kalimantan so as to meet domestic energy needs and increase Non-Tax State Revenue (PNBP) both from the oil and gas sector and PNBP from optimizing State Property. Director General of State Assets Isa Rachmatarwata said that LMAN as the Public Service Agency (BLU) under its directorate has the function of the operator of goods management having autonomy and flexibility in managing and optimizing the state assets. "The signing of this agreement is intended to enable LMAN to optimize the assets of Badak LNG Plant This initiative is an effort by LMAN to accelerate the settlement of various problems by optimizing the optimal assets," said Isa as quoted by Antara. The Government believes that the authorities granted to LMAN and PT Badak NGL can be implemented in the hope that the assets of the Badak LNG Plant in the future can be utilized to support the National Strategic Project (PSN) so that the assets can be fully utilized and optimized for the welfare of the people. "LMAN and PT Badak NGL will synergize and collaborate in maintaining Badak LNG Plant operation for national energy security," said LMAN Director Rahayu Puspasari.